The Prime Minister of Belize, Hon. 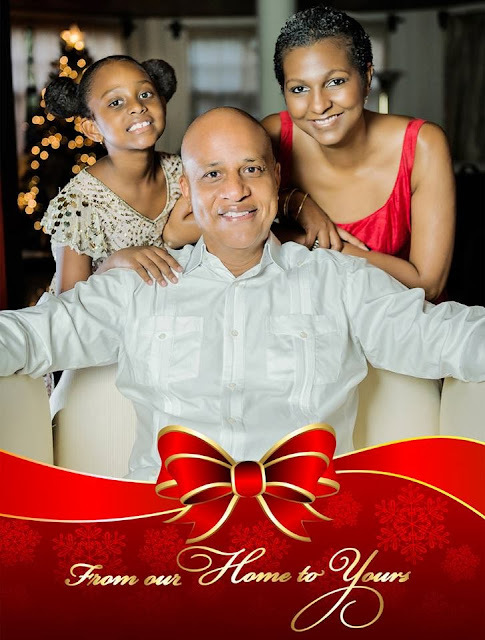 Dean Barrow, First Lady Kim Simplis-Barrow & Salima wish you the Compliments of the Season! Happy Holidays! At least he removed that ridiculous beard. Mrs. Barrow on the other hand is glowing.